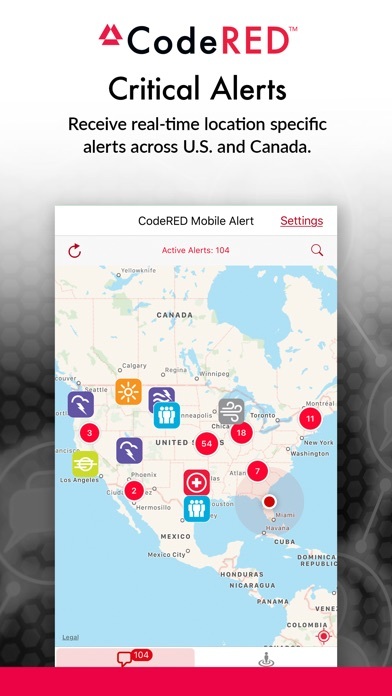 Thousands of public safety organizations across the United States and Canada use the CodeRED community notification system to initiate emergency notifications. 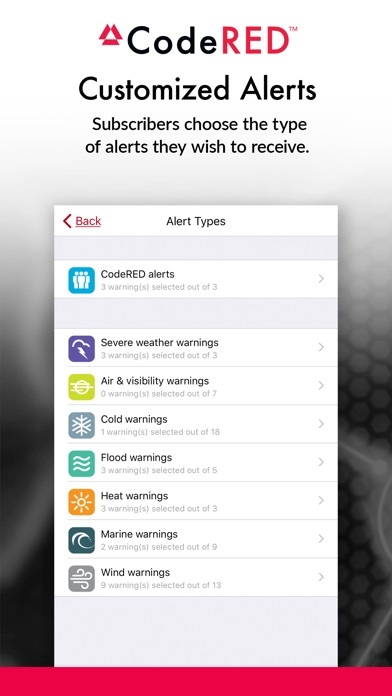 The CodeRED Mobile Alert app enables subscribers to receive these notifications directly to their personal cell phone whether at home, on the road, or traveling around the country. 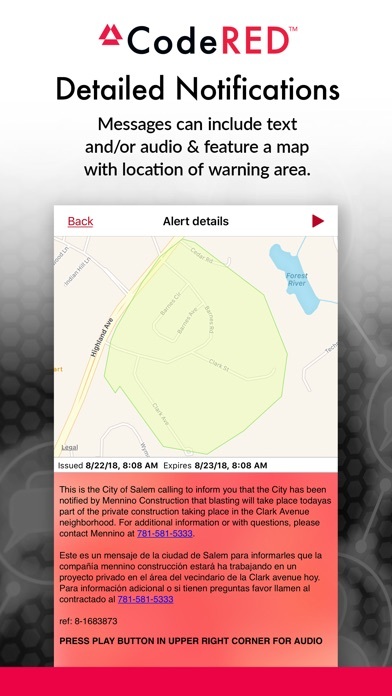 Alerts are initiated by authorized public safety officials to deliver location-based notifications and are not issued by OnSolve or its staff. 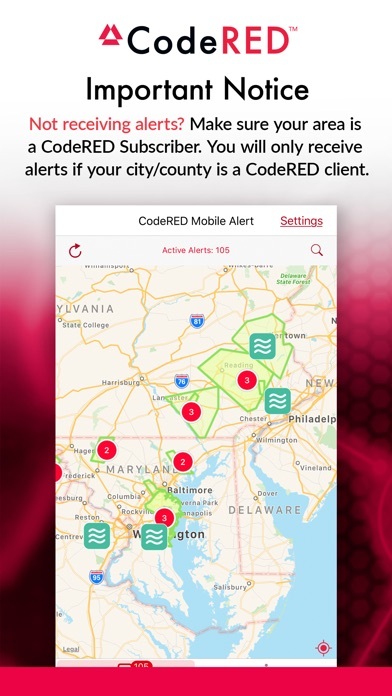 Free alerts available* - Emergency - Community - Missing persons *PLEASE NOTE: If the public safety agency covering your current location is not subscribed to the CodeRED service, you will not receive alerts through this application. 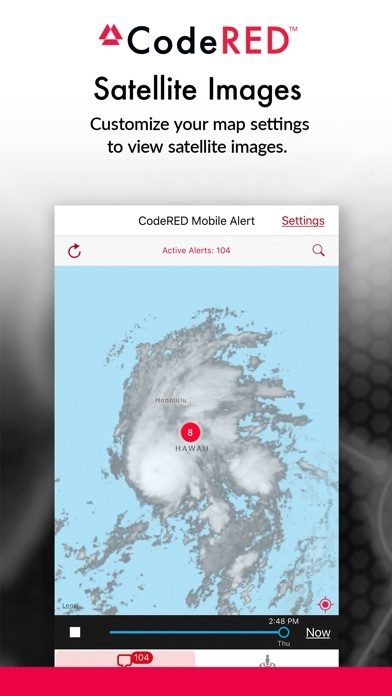 If your city or state does not currently subscribe to CodeRED, contact your local public safety organization today to let them know your community would benefit from this service. Helpful hints: • Enable location services on your phone. • The app also features the ability to view local radar footage for the past hour and satellite imagery of the previous 24 hours. 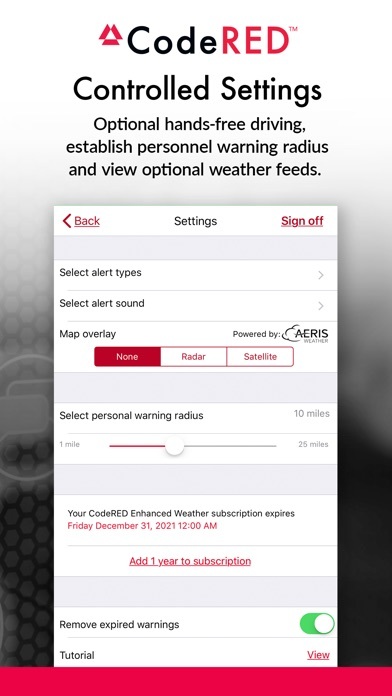 • The CodeRED Mobile Alert app comes with a complimentary 30-day trial of CodeRED Mobile Weather Alerts that automatically notifies U.S.-based subscribers of severe weather. 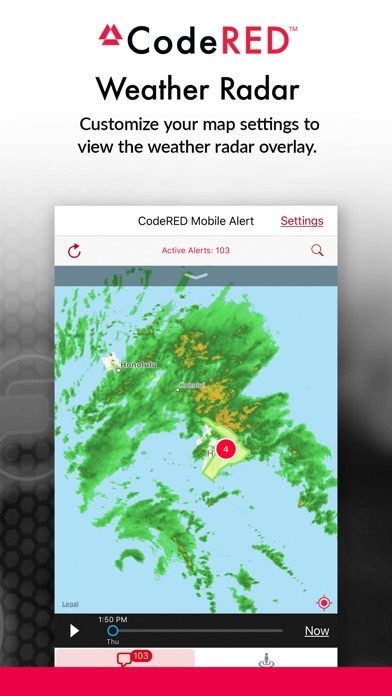 The optional CodeRED Weather Warning add-on is $0.99/year, but it is NOT required to purchase in order to receive emergency, general, and missing person alerts. • Your app account and the account you create for your community’s CodeRED system are NOT associated with each other. You must create separate accounts. Questions or issues regarding the app? Before writing a negative review, please contact us – we’re here to help! Email us at crmasupport@onsolve.com or call toll-free at 866-533-6935.